Tag Archives: Canada: Who do we think are? It is amazing to think that I have been working at LAC for almost two decades now. The work in the photography section is incredibly diverse as are the collections themselves, and my time here has gone by incredibly quickly. I come from an art history background, but I have always been as interested in the context of the work, as in its aesthetic qualities. By exploring the social, cultural and historical context of a photograph, we can begin to understand why it exists in the first place. Why was it created, who asked for it to be created, where and how it was circulated—all of these questions fascinate me. I suppose this is how I ended up as an archivist, because context and provenance are the pillars of any archival collection. I enjoy both the detective aspect of working on the historical photographs in the collection, and working with current photographers, digging into the rationale behind the taking of a photograph. I’ve published and presented on a wide variety of LAC photographs and collections over the years, including photos by John Vanderpant and Yousuf Karsh that were taken on cross-Canada trips in 1930 and the early 1950s respectively. These cross-country trips really intrigue me. They seem like a Canadian rite of passage even today, but they also speak volumes to the ever-shifting notion of Canadian identity. The John Vanderpant fonds has become one of LAC’s most important photographic fonds, as his work has grown in stature through the research of a number of Canadian art historians over the last 30 or 40 years. The photograph was taken around 1934 in the Vancouver ports area. 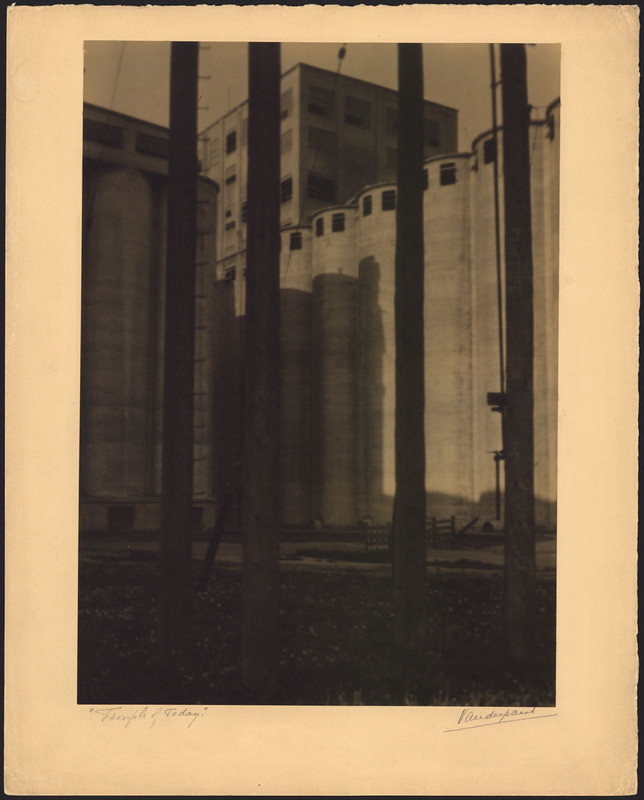 Vanderpant was one of Canada’s leading pictorialist and straight photographers, and his series of images of the grain silos in Vancouver is now considered iconic. When Vanderpant arrived in Canada from Holland in 1911, he saw the nation as most other Europeans did—a vast and empty wilderness. By the time he took the photograph “Temples of Today” in 1934, he dreamed of a country with the immense potential and unexploited resources to become an industrial powerhouse of the future. Of course he was not alone in this sentiment, and the interwar years were a period of great urban and industrial development in Canada. This photograph in particular illustrates his turn away from the more painterly, “fuzzy” qualities of pictorialism toward straight photography. This style embraced a stripped down modernist aesthetic and, just as importantly, a subject matter that represented a strong belief in a future dominated by an urban and industrial life. “Temples of Today” purposely eschews beauty, focussing instead on the massiveness of the silos coming out of the shadows into full light, with the foregrounding of the hydro poles reinforcing the industrial message. The photograph perfectly illustrates the development of a popular philosophy about the natural progression of mankind through industrialization. Vanderpant strongly subscribed to this view and wrote articles and gave many public lectures on the topic. 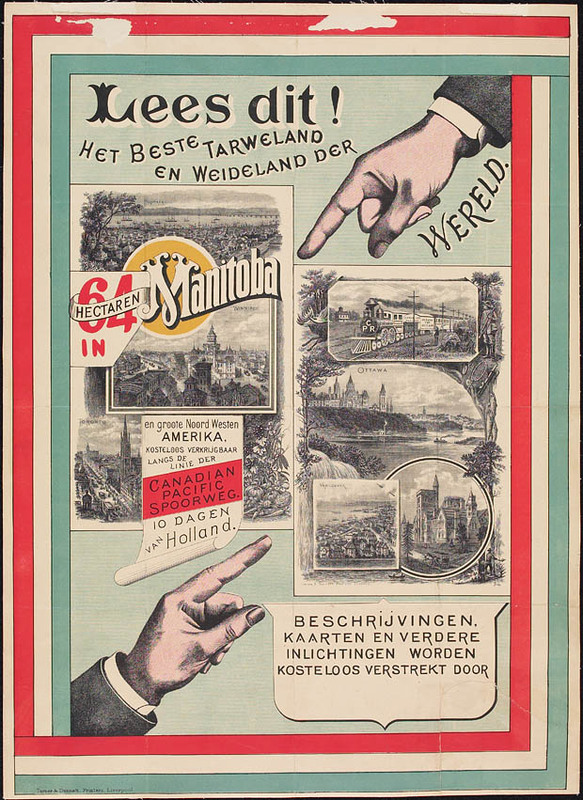 But along with this forward focus, Vanderpant, with so many other Canadians of the time, completely dismissed the Indigenous peoples of the country, seeing Canada as a kind of terra nullius or unoccupied land ready to be exploited and developed however the settler culture wanted. 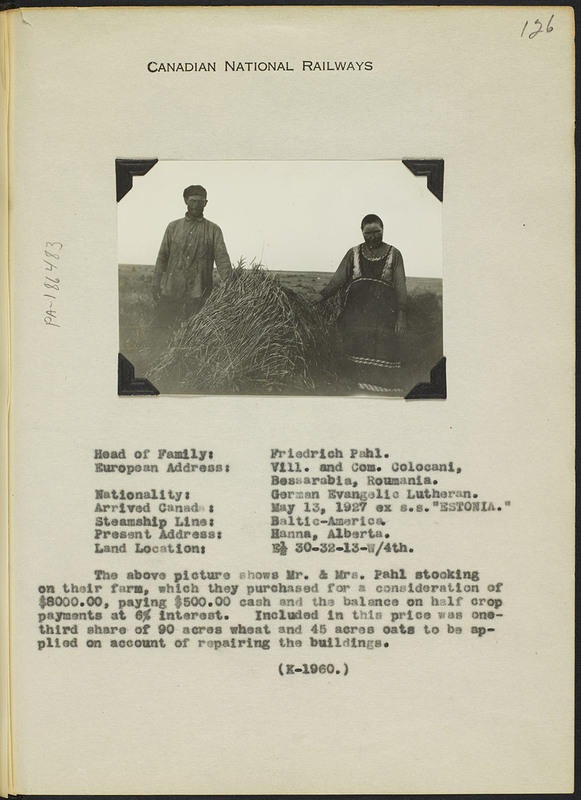 Vanderpant’s photographs are rightly lauded today as an exceptional representation of an aspect of Canadian life that was largely viewed as unpalatable up to that point, but they also concealed, by omission, the importance of the founding communities of the nation. It is interesting to compare Vanderpant’s ideas about Canada, as represented in “Temples of Today,” with those of the German photographer Felix Man who visited Canada at almost the same time this photograph was taken. 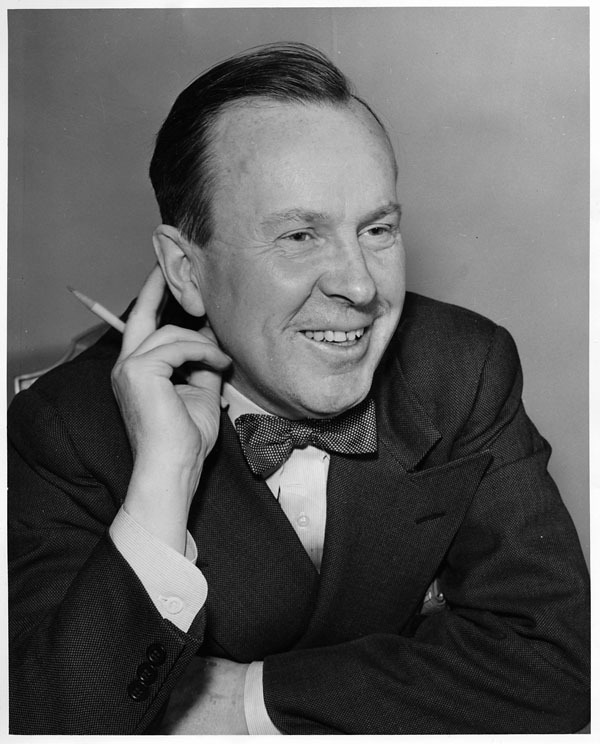 Man, considered to be a pioneer of photojournalism and of the photo essay format, travelled across Canada for six months in 1933, commissioned by the German picture magazine Berliner Illustrirte to “visit Canada and photograph all the most important things.” LAC acquired about 200 of his images in 1985 in order to document how Canada was perceived by a European during the interwar period. Like Vanderpant, Man was overwhelmed and inspired by the vastness of the country he visited. 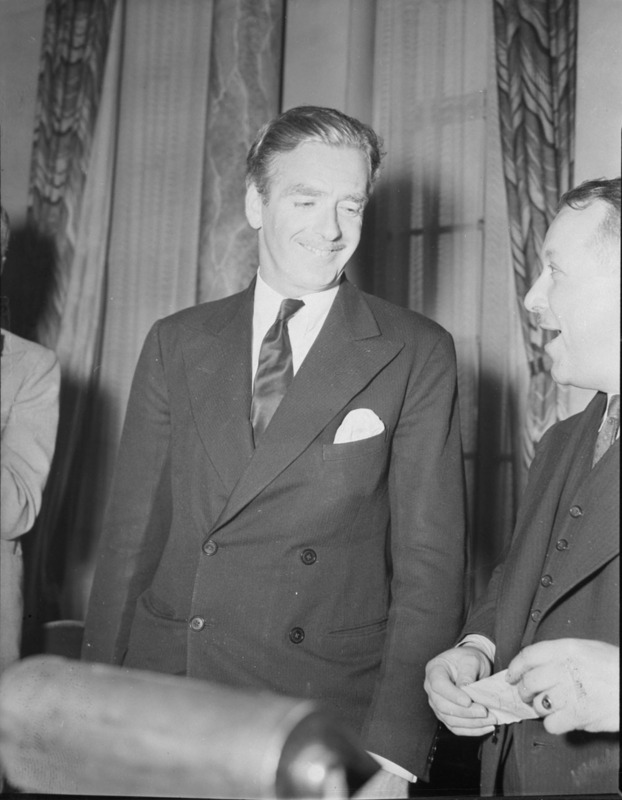 He visited almost every region, but was particularly taken with the prairies and the northern regions—going as far as Churchill, Manitoba, and Great Bear Lake, Northwest Territories. But in most other ways, Man’s view of Canada could not have been more different than Vanderpant’s. Both held what could be described as romantic views of Canada. 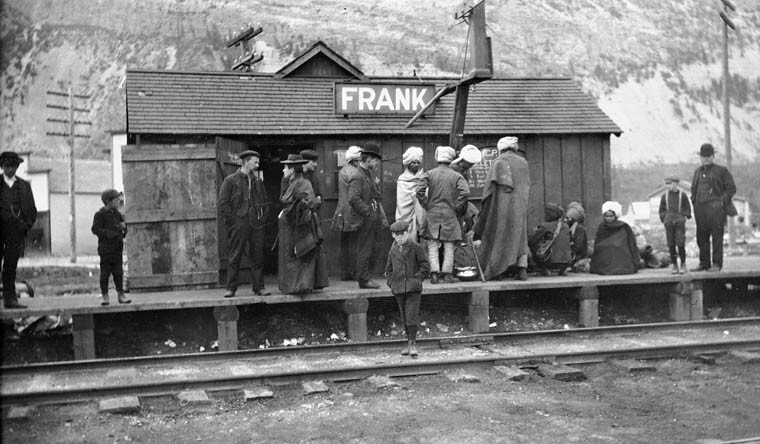 Vanderpant romanticized a future, industrialized and urban Canada, while Man held a more typically European view of a Canada frozen in a romanticized past. He was heavily influenced by the stories of Indigenous heroes written by fellow German Karl May (who famously only visited North America after his books were published). His idealized fantasies of the “noble savage” remain popular in central and Eastern Europe to this day. Man’s photographs vividly depict this romantic image of Canada. While Vanderpant’s images focus on the development of Canada, Man, as photographic historian Joan Schwartz has noted, largely excluded urban Canada in his photographs. Instead, his camera captured such views as the unrelenting snow and ice around Churchill in winter, and the “Banff Indian Days,” a popular tourist attraction in which Indigenous peoples donned stereotypical costumes, erected wigwams, and put on displays of hunting and horsemanship for pay. 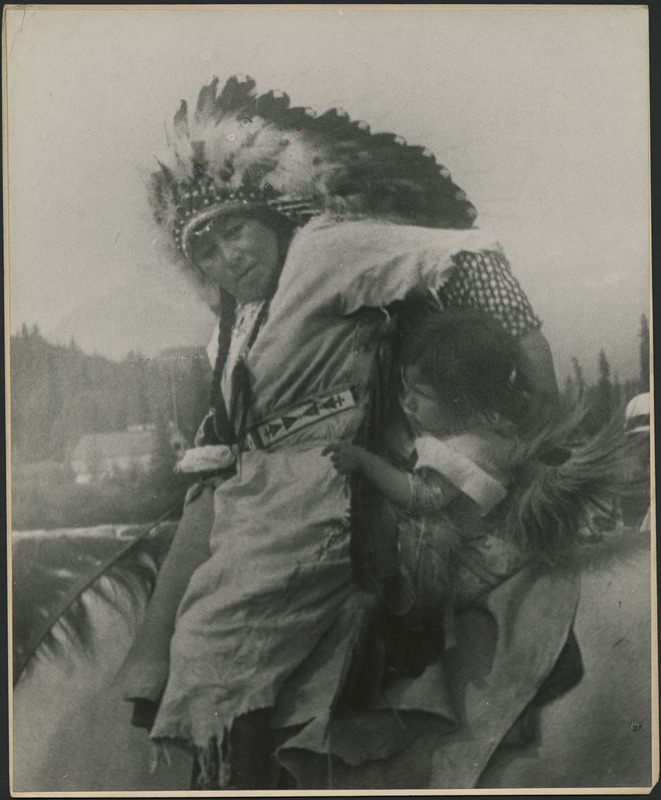 His photograph of the Indigenous woman and child on horseback is an excellent example, with its grainy aesthetic, and the woman in an elaborate headdress (which in reality were only worn by women in exceptional circumstances) reaching back to embrace the small child. The “Madonna and child” symbolism presents all the qualities necessary to build a stereotypical and generalized narrative of 20th-century Indigenous peoples as still living their so-called traditional lives, and the images of the Banff “Indian Days” were very popular with the European press. The exclusion of Indigenous peoples in John Vanderpant’s representations of an industrial and urban Canada, and the fixing of them into a mythical past by Felix Man, also tie into the works of urban Iroquoian photographer Jeff Thomas in this exhibition. 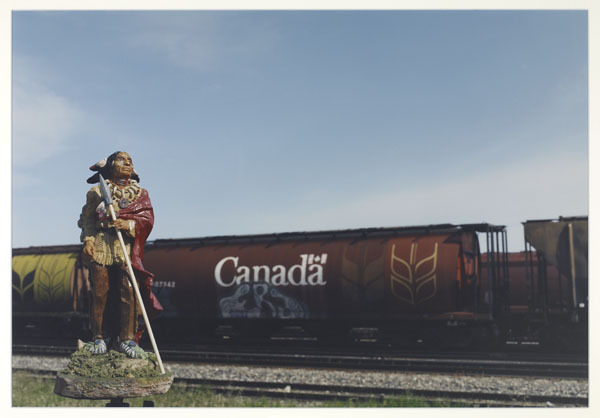 Using toy figurines posed with the Parliament buildings in the first instance, and in front of a rail car emblazoned with the word “Canada” in the second, Thomas seeks to reinsert Indigenous peoples into both Canada’s history and present. Thomas’ photographs introduce critical concerns about the roles Indigenous people played in the building of the nation-state of Canada and in the building of the railroad. 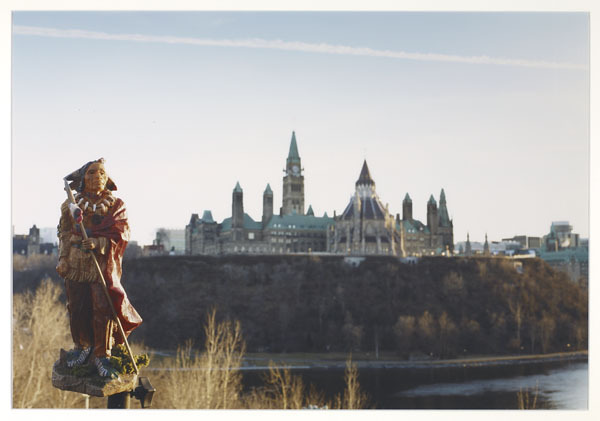 Using the figurines, he plays on the stereotypes which were perpetuated and disseminated by photographers like Man, but also with the omission of Indigenous peoples from the narrative of the past, present and future of Canada. Considering these two seemingly unconnected photographs from the 1930s together allows us to bring these two stereotypical views of Canada together, and to see how the knowledge of the immediate and broader contexts in which they were created can deepen our understanding of not only the photographs themselves, but of Canada’s past and present as well. Jill Delaney is an archivist in the acquisition of photography of the Visual, Sound and Landscape section, Private Archives Branch. She holds a Master of Canadian Studies from Carleton University (1991) and a doctorate in Art and Architectural History and Theory from SUNY-Binghamton (1997). Jill joined LAC in 1998 as a photography archivist and has been working with the collections ever since, with the exception of an assignment in the architectural records section. 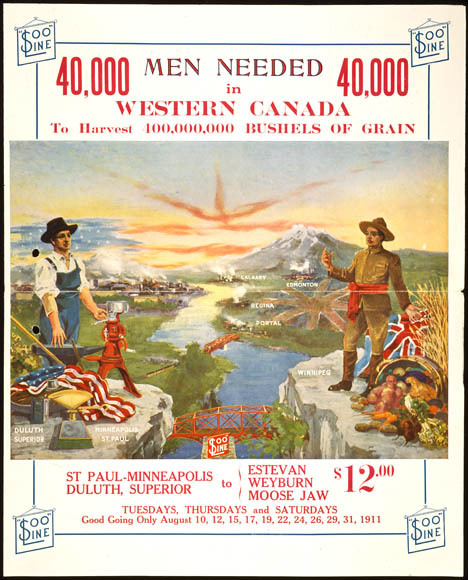 The British public held Romantic ideas about Canada, especially its First Nations peoples. Teyoninhokarawen probably played up to these when he sat for this portrait. Here, he wears his own adapted version of Indigenous dress. I hail from the Ganaraska Forest. Technically, the address of my family home was in a small village called Campbellcroft, in rural Ontario however the nearest neighbor was over a kilometer away and there was little sense of a village. 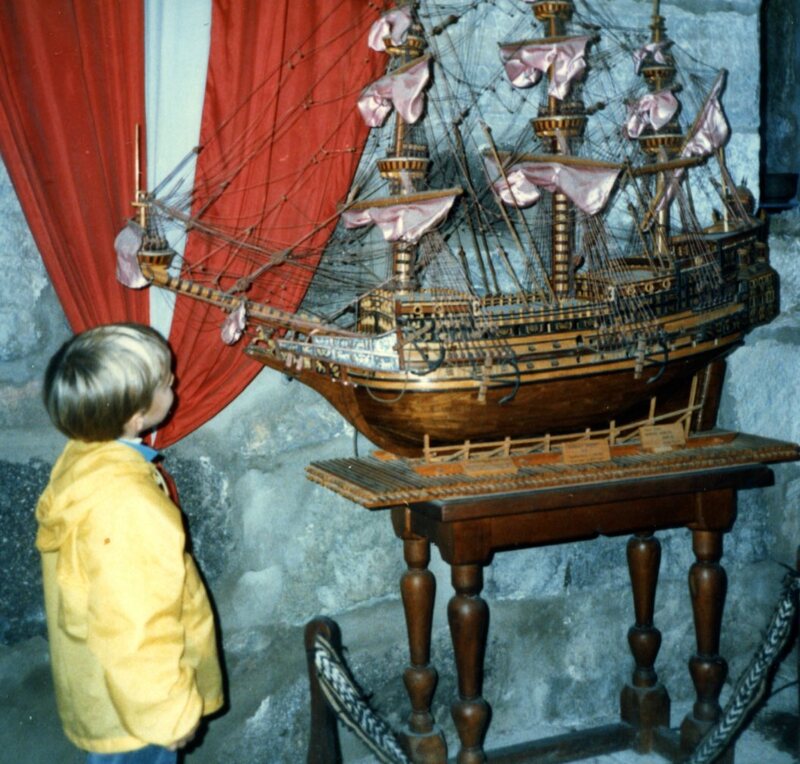 While there, my parents fostered a strong interest in art and culture. Sadly, while the nearly 12,000-acre Ganaraska forest is a place of much wonder and variety, one thing that one does not find there is a major art gallery with an internationally renowned collection. Consequently, as a teen I toured the world’s galleries through reproductions like those I found in the now rare Carnegie Art Reference Set for Colleges. The media fascinated me as much as the message and I developed an interest in reproductions of art works and their spread and dissemination in Canada. I circuitously followed this interest through my studies and ended up writing about bookworks, or artist’s books as they are variously known in my field. From the study of books and reproductions it was a short leap to library and archival school. Teyoninhokarawen (ca. 1760–1823) was born John Norton in Salen, Scotland, of Scottish and Cherokee parentage. Military records show he went to Canada, and after discharge from the army in 1788 went to live with the Grand River Mohawk Indians, later becoming the adopted nephew of Joseph Brant. His portrait was painted by Mary Ann Knight, an English miniaturist. It was painted during Norton’s visit to England when he acted as an emissary for the Grand River Mohawks, and it was exhibited at the Royal Academy in 1805. 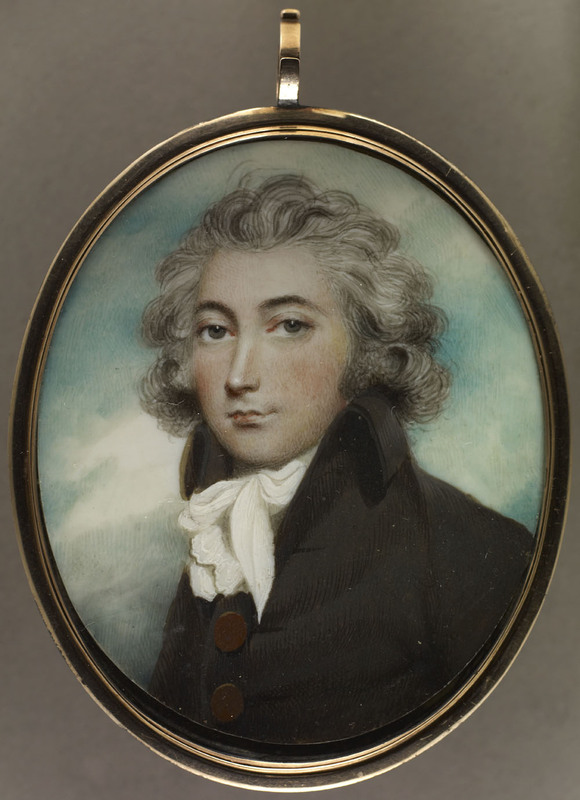 This portrait is a fantastic gateway into late 18th, early 19th century Canadian history. I chose to write about this item, first because it is so visually appealing. The portrait was painted in Europe where Romanticism is very much part of the spirit of the age and this shines through in the presentation of Norton. It was becoming unfashionable for portraits to depict people wearing contemporary European dress. 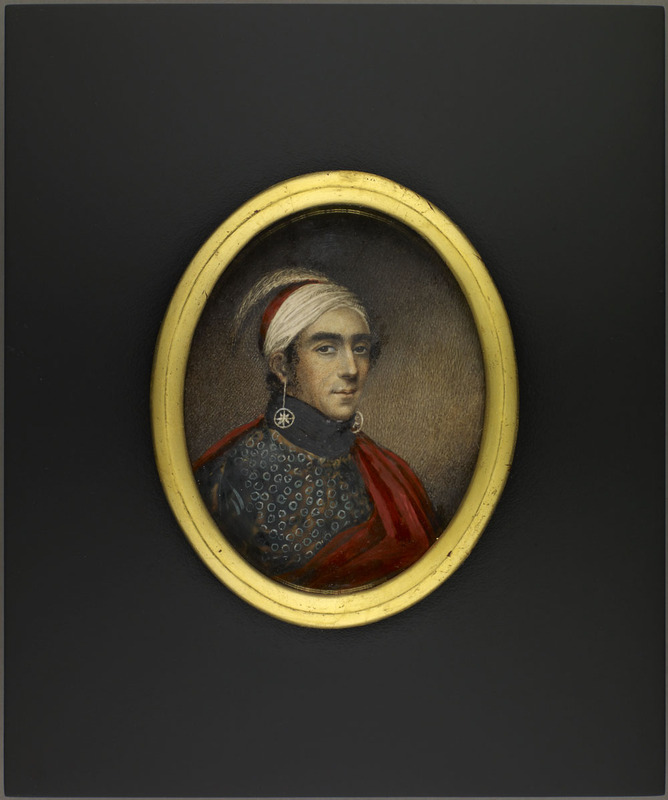 My knee-jerk point of comparison is Thomas Phillips’ portrait of Byron wearing an Albanian scarf wrapped as a turban—though many of Jean-Etienne “The Turk” Liotard’s brilliant portraits might also serve as interesting comparative foils for this miniature. 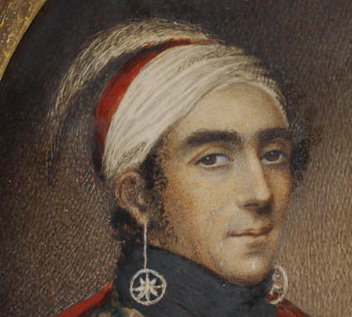 Norton’s headwear is this portrait is fascinating in the way it perpetuates then prevailing orientalizing mythologies—naturally at this time drawing connections to Rousseau’s by then famous concept of the noble savage—but also truthfully representing Norton’s transatlantic identity. The feather in the headdress is that of an ostrich. Not a common bird on the shores of the Great Lakes where Norton had been adopted as a Mohawk, nor in his father’s Cherokee territory in Tennessee. Ostrich feathers however were popular as part of headwear in the UK, including in Scotland where, as in John Michael Wright’s portrait of Lord Mungo Murray, they gave the wearer an adventurous look. The feather at once connects Norton to the established visual trope of depicting Indigenous peoples of North America wearing ceremonial feather headdresses, while at the same time, the European inclusion of the imported ostrich feather illuminates Norton’s Scottish side. All that in just the feather! The rest of Norton’s wardrobe is equally interesting in different ways. 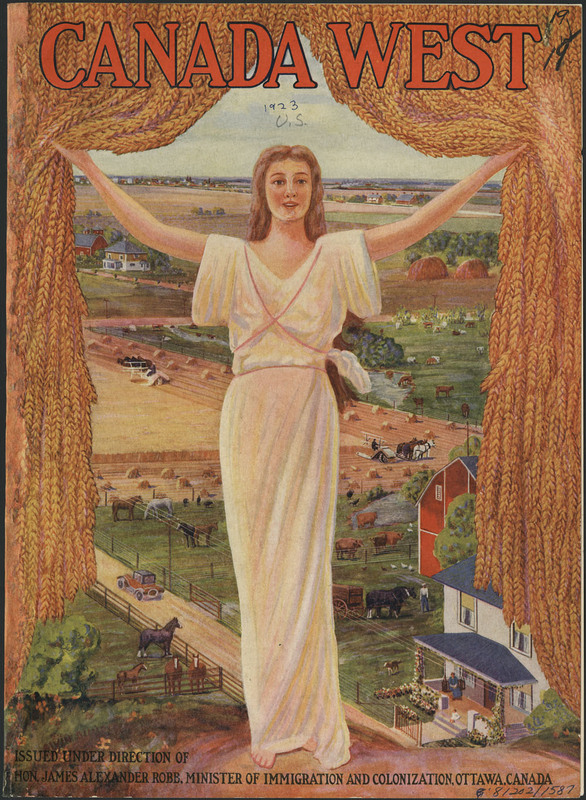 This portrait is so rich that there are books full of things Canadians should know! Actually, I would quite literally start by recommending further reading (this is Library and Archives Canada after all). The first book is The Journal of Major John Norton. Norton completed the journal in 1815–16 while in England and it covers a wide range of subjects including his travel from Upper Canada to Tennessee and other southern U.S. states, as well as the frontier wars in the 1780s and 90s. Throughout The Journal, Norton provides an interesting and unique discussion of North America’s Indigenous people. Of particular note is his discussion of Joseph Brandt. Two editions of The Journal have been published, both by The Champlain Society. The more recent edition includes an introduction and additional notes by Carl Benn, who is a preeminent expert on Norton and whose works are a great source for more information. Another book I would recommend to those intrigued by Norton is The Valley of the Six Nations, also published by The Champlain Society. This book, prepared by Charles M. Johnston, presents a collection of significant documents relating to the Six Nations in the region where Norton spent much of his adult life. It includes many documents discussing the land disputes that the Mohawk people of the Six Nations had with the British and colonial government. 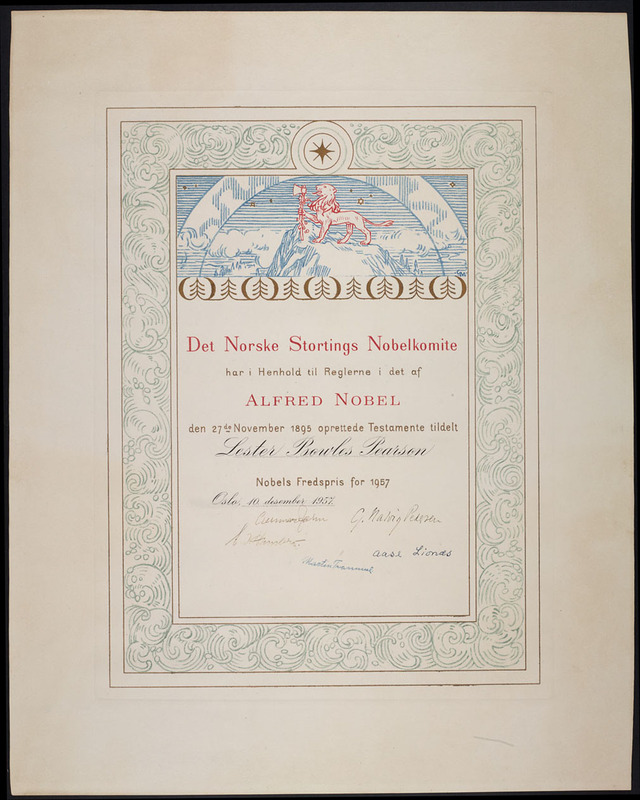 Some of documents presented in this volume are by Norton himself, and the originals of many of the documents are in LAC’s archival holdings. This feud centred around Six Nations claims to land around the Grand River. While correspondence shows that the two came into conflict with each other several times, Claus struck a devastating blow to Norton when he discredited Norton to colonial authorities, thus causing Norton’s trip to England as a representative of the Six Nations to fail. Claus’ criticisms of Norton were not entirely without foundation as Norton did not truly represent the perspectives of all of the chiefs of the Six Nations. There is a great deal more that could be said, and in fact has been said, in the sources mentioned above and elsewhere about the relationship between Norton and Claus and the Six Nations dispute with the Indian Department. These two portraits are a fascinating entry point into this chapter of history which still has reverberations today. Shane McCord has worked as an art archivist at Library and Archives Canada since 2010, where the focus of his work has ranged from 17th-century plaques to contemporary art. He has a Master in Art History from Concordia University and a joint Master of Archival Studies and Master of Library and Information Science from the University of British Columbia.